Bringing People Together. Meet Kia! She probably hates that I wrote that since she is so humble and soft-spoken, but it’s true. While she’s quiet at first, she also has an edge. Wide brimmed black hats and gold hoops are her staples. Oh, and she has awesome nails—black polish with sparkles. But they aren’t just black with sparkles because it’s a pretty combination. They’re black with sparkles to resemble stardust. She likes to give everything a deeper meaning and stardust is fascinating. Ask her about it. If you haven’t met Kia, she is the creative director for Hip Hop University and has a passion for serving the community. Hip Hop University was started by Albert Carter and Reginald LaRoche, math and english teachers, as a way to mentor and teach kids in undeserved communities through hip-hop culture. For instance, instead of a math problem talking about how much a strawberry farmer can make at market, Kia says they make problems involving Kendrick Lamar’s album sales. How cool is that? Kia wants to better the community and has tons of ideas flying around. One of those ideas just won Hip Hop University a grant from the Knight Foundation and 8 80 Cities. Hip Hop Orchestra will be an ongoing concert series that combines classical music with hip-hop to break down stereotypes. Kia hopes that the events will help bring people from different socioeconomic backgrounds together. Kia’s first memory of hip-hop and classical music mixing together was on her television. She was 14 years old watching Showtime at the Apollo when Miri Ben-Ari, an Israeli-American violinist, walked on stage with a violin and a turntable. Then she started playing Notorious B.I.G. 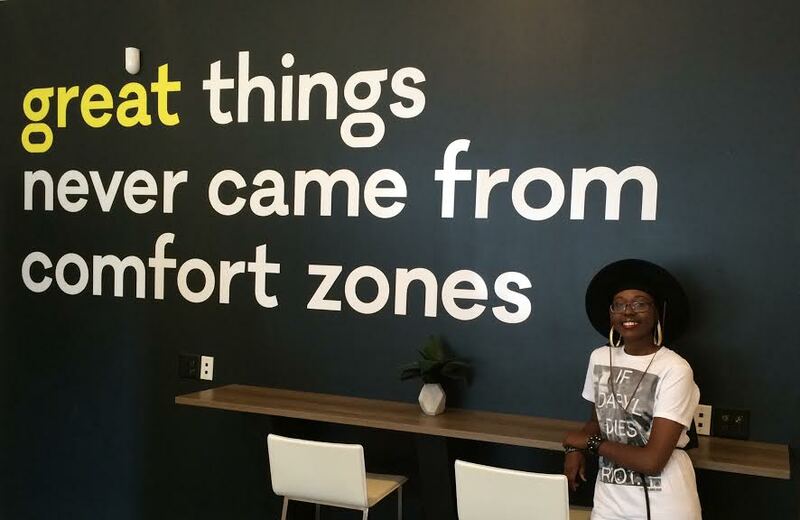 Hip Hop University will hold its Tech and Hip Hop Symposium at Hygge later in July to talk about economic mobility and bridging the digital divide in Charlotte. They want to have meaningful discussions with local tech innovators, change makers and cultural influencers. Check it out. Kia will be there! And if you missed our recent event with The Atlantic on entrepreneurship, innovation and economic mobility, check out our blog post on it. https://wearehygge.com/wp-content/uploads/2016/06/Kia.jpeg 576 886 Sarah Headley http://wearehygge.com/wp-content/uploads/2018/04/logo-small-hygge-1.png Sarah Headley2016-06-24 14:57:432016-06-30 12:18:13Bringing People Together. Meet Kia! Meet Smokey: A Story of Unrequited Love What Does Hygge Mean?